The Kyrgyz people voted for a new constitution to switch to a legitimate framework after two months of instability, shared former speaker of the Kyrgyz Parliament and ex-Finance Minister of the country, Marat Sultanov. RT: How important is the Constitutional Referendum that has just taken place? How important is it for Kyrgyzstan? Marat Sultanov: You know this phrase, in the kingdom of the blind a one-eyed man is king. That means that we need to move to a certain legal framework as soon as possible. It may be imperfect, but it must be legitimate. I think that at first people moved towards the idea of legitimization of power. It’s not that people did not like the Constitution, or Roza Otunbaeva. It’s just that the people realized, that unless the power is legitimate, we will continue to have conflicts in the country for a long time. Legitimization of power is a trump card of society. 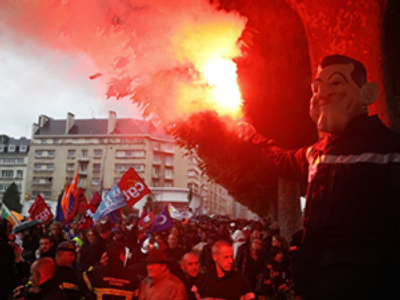 Society is waiting for the election and for the legitimate authorities to be formed. And then we need to give the new legitimate government – the authorities who people elected – the possibility to correct the mistakes that have been made. In my opinion the majority of people came to the referendum not because they like the current constitution, or the interim government, but because they want to move to a legitimate framework as soon as possible. They are tired of living from one decree to another, when it’s not clear which part of the law works and which one does not. Many businessmen are afraid of new decrees. Will they be owners of their property tomorrow or might there be a new decree about nationalization? Everyone is eager to switch to legitimacy. That’s one of the reasons for the referendum’s high voter turnout. The second thing in my opinion is that the administrative resource played its role in increasing the turnout, too. People came to houses asking families to participate in the referendum. Although it’s prohibited by law, it’s an understandable measure, because many thought that people would not have come. So all that led to a high turnout. I think that the election will be performed according to another scenario. 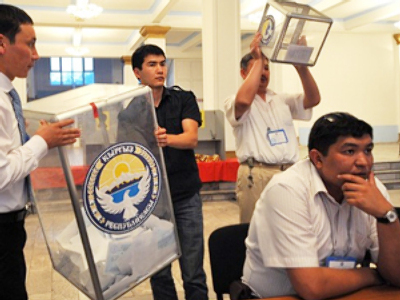 Referendums in Kyrgyzstan are always ok, but as we know from practice, an election in half a year’s time may give absolutely contrary results. It does not mean that the party of the interim government will win the election. RT: The interim government wants to turn Kyrgyzstan into a parliamentary republic. Will they succeed, do you think? Is it possible? MS: The model stipulated in the current Constitution is not exactly a parliamentary system, but sort of a mixture. It contains some ideas from the East-European political system, and some elements from other systems. In an interview, I once said that you may build a car and take ideas from Mercedes, BMW, Audi and all the other good cars. But if you take spare parts from different good cars, the result may be worse than the worst car in the world. So in my opinion the problem of the current constitution is that it was created by means of combining different parts. That’s why it holds many risks for Kyrgyzstan. I think that when Dmitry Medvedev spoke about our constitution, he meant that it carries a lot of risks and conflicts for creation of political structures and for decision making. This may have an impact on the economic and social development of the country, that’s why we need to modernize it. RT: Would you say that the interim government has enough in their possession to lead Kyrgyzstan out of the crisis? MS: At the moment the interim government is acting like the three characters of a famous fable about a crayfish, a swan, and a pike. If we take them separately in their environment, they are all effective and influential. But unfortunately they pull the cart in different directions. They have different views. It’s a problem when there is no solidarity, when the team members have different views. This cannot bring any results. It’s like vectors – there may be a lot of them, but they may produce zero in total. The interim government lost control of the situation. You might know that the first conflicts took place in Jalal-Abad. Right after that the interim government claimed that the whole situation in the South was under their control, but in less than a month we again had to face a big tragedy. It shows that the interim government did not use the entire capacity of its secret service, law-enforcement agencies, and it did not do its utmost to unite the people and reach consensus in society. First of all they started a witch-hunt that led to the fact that they spent their resources on fighting their political opponents instead of preventing conflicts. It also looked like there were only two forces in Kyrgyzstan – Bakiyev and the interim government. 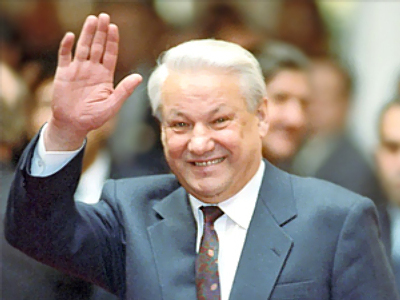 If other ideas appeared, they were automatically attributed either to Bakiyev or to the interim government. I think that our society and people are rich in original people who can share new thoughts different from the ideas of Bakiyev or the interim government. Unfortunately, that was a big mistake of the interim government. RT: How does this current interim government differ from the Kurmanbek Bakiyev’s? Are they really different? Do they have the same goals and means or do they differ? MS: The forms are different, but the ideas are approximately the same. When you look at them, one contains a centralization element, and the other decentralization. But if we view them from the standpoint of not accepting their political opponents, we see that they are absolutely the same. That’s why I would say that so far, the form has changed, but the essence is the same. RT: Let’s go back a little bit and talk about the Uzbek nationals who had to flee from the South of Kyrgyzstan during the mass unrest there just a couple of weeks ago. Would you say that they have a chance of coming home? Do they have a chance of returning back or what’s going to happen to them? MS: Of course they should come back. I recently talked to Uzbek and Kyrgyz people. Unfortunately, at the moment the division between the two nationalities has become very strong during this period. And it will take time before the wounds heal, before the emotions calm down. But on the whole there is no choice. Where shall they live, on the Moon? There is no vacant place for them to live, and they should return to their native land. Kyrgyzstan is a multinational state. We count about 80 nationalities living on our territory. And we should bear in mind that this land is a native place not only for the Kyrgyz people, but for Uzbeks as well. Of course we are going to create conditions for their return. This process should be implemented step by step, so that people will not have fear, and so that it will not be overworked. In the South there is a big problem. The Kyrgyz attackers were in the mountainous regions, they descended from there and we met with them. For the majority of the population there, there is one hundred square meters of land for each person. And also there are often acts of nature. And there is a problem sharing land in the Karasusky Region near the city of Osh and some other places. And this creates certain problems as well. The Kyrgyz mostly live in the mountainous regions. And the climate is different there, which gives fewer opportunities for agriculture. It’s also different for construction of residential buildings. In the Alai and Karakiljin Districts there are a thousand families in each who cannot build new houses because of mudslides and other natural disasters. When there is unrest, you may notice that these two districts constitute the major part of the trouble. Although the population in these districts is not numerous, it’s very aggressive. They think that they are treated in an unfair way. And it looks that it’s the Uzbeks who are unfair to them. And there are people who masterfully manipulate the situation. These districts are multinational, and the Kyrgyz often think they are deprived of something. There was one serious problem – a social problem. For example if you look at small business, medium-sized business, and trade – the majority there were owned by Uzbeks. If you take government service, police, and army – the majority there were the Kyrgyz. 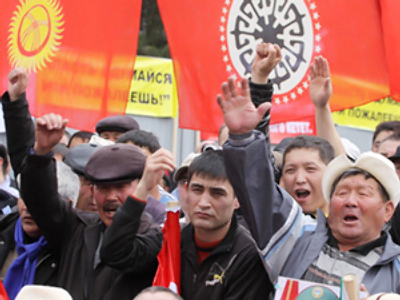 The Kyrgyz tended to occupy more places in the government service and law-enforcement agencies. And that was building a kind of barrier between the two nationalities. And society was not combined, but divided into two. I guess, this played its role too. And of course, when power of the central authorities weakened, there appeared forces who tried to move the two separate groups, which finally led to the conflict. RT: How different were the events of this past April from the Tulip Revolution that happened five years ago? MS: I think that there are certain differences. The first revolution had been prepared for quite a long time. There were many steps made, and the preparation period was very long. And the recent situation looks like a spontaneous one. But actually it was not spontaneous. The fundamental mistake of Kurmanbek Bakiyev was that he gave no room for opposition and its opinion was not heard, and at the same time, he started to remove strong figures that surrounded him. Many said that he was supported by the Southern clan, but if you look at his last actions, you’ll see that it was not so. A lot of powerful people were removed during Bakiyev’s rule. Some, like Kushbak Tezekbayev, were imprisoned, a well-known deputy from the South of the country, Sandjar Kadyraliyev, died. There were a number of well-known political figures from the South who were removed from their positions. Those who stayed continued to occupy key posts, but they did not have as much power as they used to. So it turned out that he did not have support there. He was backed by a small group of people and that led to a situation when he happened to be a colossus with feet of clay. In other words he had no support. And it was seen when he went to the South in April, and nobody backed him there. RT: A special CSTO monitoring group is in place in the South of Kyrgyzstan in the cities of Osh and Jalal-Abad right now. How do you see the CSTO helping Kyrgyzstan out in this situation? Will they be able to bring some sort of equilibrium in the situation that has been created there? MS: Yes, they can help. In the South, you may ask both the Uzbeks and the Kyrgyz and you will see that the majority trusts a certain third party. They trust Russia and international organizations – or rather their law-enforcement agencies – more than their own. Unfortunately the people do not believe in the law-enforcement agencies of our country. So that’s why I think that the CSTO’s observers will be trusted more. That’s why they will help us a lot. Many people will be more open with them than with our law-enforcement agencies.